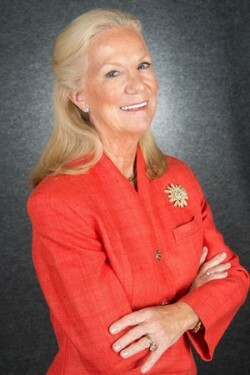 Mary Cunningham Agee is the Founder of the Nurturing Network, an international charity that has served the needs of women and children for more than three decades. Her leadership as President and CEO was instrumental in mobilizing over fifty thousand volunteers to serve the needs of women and children abandoned during pregnancy. She fostered a common ground where effective collaboration and cooperative action magnified the best efforts of individuals with widely divergent viewpoints. Ms. Agee brings to her work an unusual blend of practical idealism. Her educational background includes a BA degree with Honors from Wellesley College where she graduated Phi Beta Kappa with a major in Philosophy and Logic. She earned an MBA at the Harvard Business School where she majored in Finance and International Business. She as chosen as an honoree for "50 Years of Women at Harvard Business School" recognizing 100 women whose leadership has made a positive social impact. Mary was one of the first women in history to break through the "corporate glass ceiling" by her promotion to the top management of two Fortune 100 Companies where she served as the Vice President of Strategic Planning. Ms. Cunningham's autobiography entitled, "Powerplay," became a New York Times Best-Seller as it captured the struggle of women and individuals from non-traditional backgrounds striving to overcome prejudice in a corporate culture that still presents many challenges. Her example of courage and perseverance have inspired many to offer their unique gifts regardless of political obstacles and personal sacrifice. She is the recipient of seven honorary doctorates and numerous awards that include the Freedom Award from Provo, UT, the Centennial Medal of Honor from the Columbus School of Law and the Humanitarian Lifetime Award from the Wisdom Institute. It was not until Ms. Cunningham Agee experienced the tragedy of a second trimester miscarriage that she chose to dedicate her education, business skills and energy to alleviating the suffering of women and children in the most vulnerable of circumstances. The Nurturing Network became her life’s work and one that will live on in the grateful memories of literally thousands of TNN clients and their children. Mrs. Agee views have been highlighted along with other prominent business leaders in the Wall Street Journal, Newsweek, Reader’s Digest and Good Housekeeping. Her perspectives on women in business and corporate ethics have been featured in nationally televised interviews with Barbara Walters, Peter Jennings, Phil Donahue, Jane Pauley and many others. She has twice been voted by World Almanac as one of the 25 Most Influential Women in America. Communication of TNN’s message of practical compassion through writing, interviews and speeches fulfills the Founder’s original mission and vision to inspire awareness of the value of each human life regardless of the most challenging social or economic circumstances.